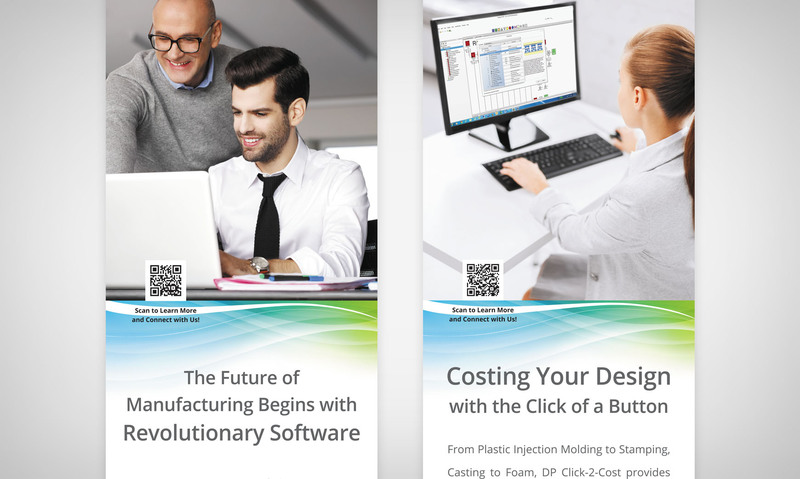 DescriptionDesign Profit software allows engineers to put the Lean Design methodology into practice. The client needed a simple, effective way to communicate the benefits and vision behind their product at trade shows. 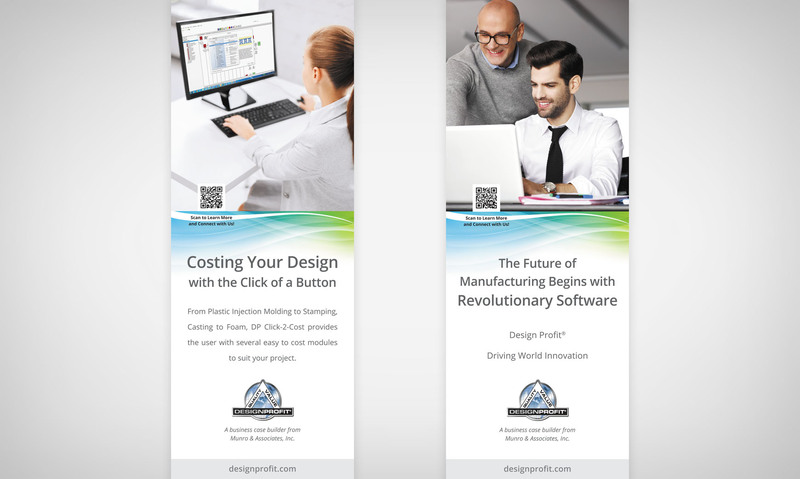 Retractable banners feature QR codes which attendees scan with their smartphones to get detailed information online, as well as contact info. A promotional video lifted by the power of intrigue is also part of the booth display.